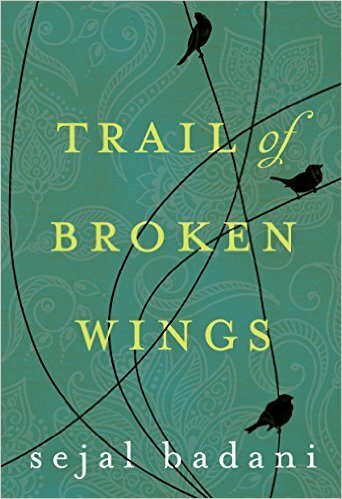 Comment Below for a chance to win a Print Copy of Sejal Badani’s book, “Trail of Broken Wings”! 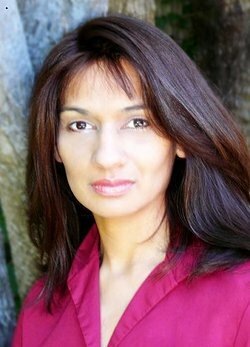 I Had the pleasure of interviewing Sejal Badani. Learning more about an author makes the books more enjoyable for me to read. A connection is made. I love that! Q: When did you realize you were a novelist? I’ve always been a writer – as a child I wrote poems and then short stories. When I was a teenager I wrote my first novel, which honestly should never see the light of day. I think law school was the real turning point. All of my friends were talking about big firm jobs and their futures as attorneys and all I could think about was the next story I wanted to write. That was my first real clue that I needed to re-think my future. I started my writing career doing screenplays. There was one that won a number of awards – and that was really my breakthrough into the writing world. So I would say to aspiring writers – write whatever comes to your heart. Don’t limit yourself or believe one medium is the only way to express yourself. I wrote screenplays, short stories, plays and novels and grew as a writer from every experience. Q: Will you always write about strong female bonds? Is that your favorite topic to explore? It is definitely a topic that is close to my heart. I am incredibly grateful for the relationship that I have with my two sisters and Mom which served as a foundation for Trail of Broken Wings. Having said that, I am a fan of exploring close relationships generally. My screenplay was about two male collegiate runners who supported one another in their quest for gold. My next book is about the friendship between a woman in 1940’s India and a male servant who is an Untouchable. I am fascinated and moved by the human spirit, the resilience and bonds that help people get through some very difficult experiences together. That’s definitely my favorite topic to explore. Q: Which character in this book do you feel a connection with the most? I would say Sonya because I am also the youngest of three sisters. There are definitely similarities between our personalities and reactions to abuse, but Sonya chose the path of solitude and flight before finding herself and love, which to me made her story even more poignant and satisfying. Her quest to find all her broken pieces and use her family’s and David’s love to help her glue them together really drove home to me that connections to other people can help to heal wounds. I found myself admiring her as her story came to its honest and fruitful conclusion. Q: Is there an author that you feel resonates with you and your writing style? When writing Trail of Broken Wings I drew on my own experiences but also read so many incredible books on dv. The Woman Who Walked Into Doors, Picture Perfect, and Black and Blue are just some of the examples. In regards to the immigration experience I absolutely love The Joy Luck Club and the author Jhumpha Lahiri. Q: When do you typically write? Where do you write? In the mornings after dropping my kids off to school. It’s very motivating – I only have a few hours before pick-up time so I write much faster on school days! I set a goal to write around 1,500 words a day. I write at my desk in my bedroom which doesn’t bode well for my husband when I get an idea at 3 am and have to get it on paper right away. Q: May I ask who your favorite authors are? Books? I love Jodi Picoult – she is the master at telling a story from different viewpoints. Liane Moriarty and Kristin Hannah are amazing writers. Malcolm Gladwell is a must read. I don’t think you can be a writer without being in awe of J.K. Rowling. To paraphrase Stephen King from his book On Writing – if you want to be a writer then read – a lot. So I have and my writing is better because of the countless number of incredibly talented authors whom I admire and from whom I have learnt. Q: Lastly, Book or eBook? Honestly, we are so fortunate to have both. My Kindle goes on every trip with me and to the gym. I love how easy and accessible it has made reading. I also still love the feel of a book and turning its pages. I find myself reading Fiction on my Kindle. Non-Fiction I prefer as a book because I usually highlight and earmark them to death. I enjoyed getting to know a little about this author. I am amazed at how many lawyers become authors. In my opinion, they make the best authors. Lawyers sure have to read enough to become lawyers..I bet that helps them with their writing..